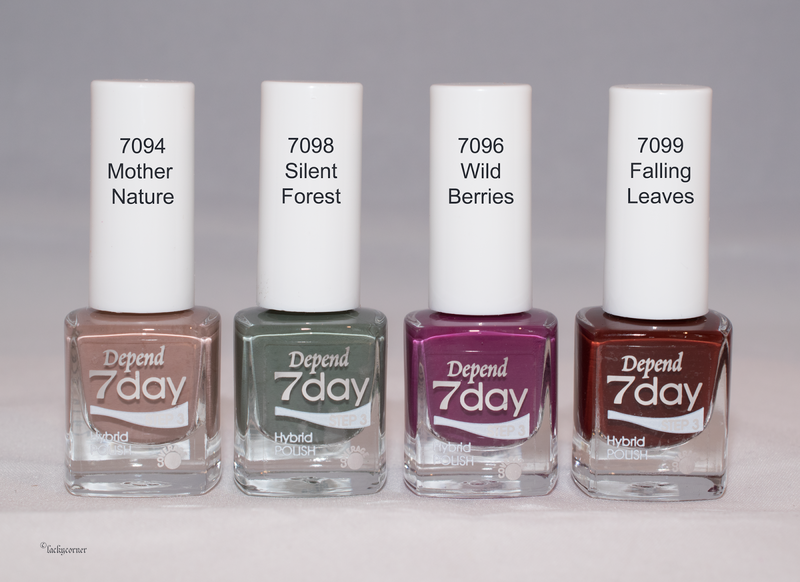 Inte länge sedan jag visade den otroligt fina HOLO Fantasy kollektionen från Depend O2 och nu trillade nya Depend 7 Day höstkollektion force of nature ner i lådan. Åtta stycken lack med olika finish som kommer att finnas i butik från v.35 och kommer kosta 39 kronor styck. 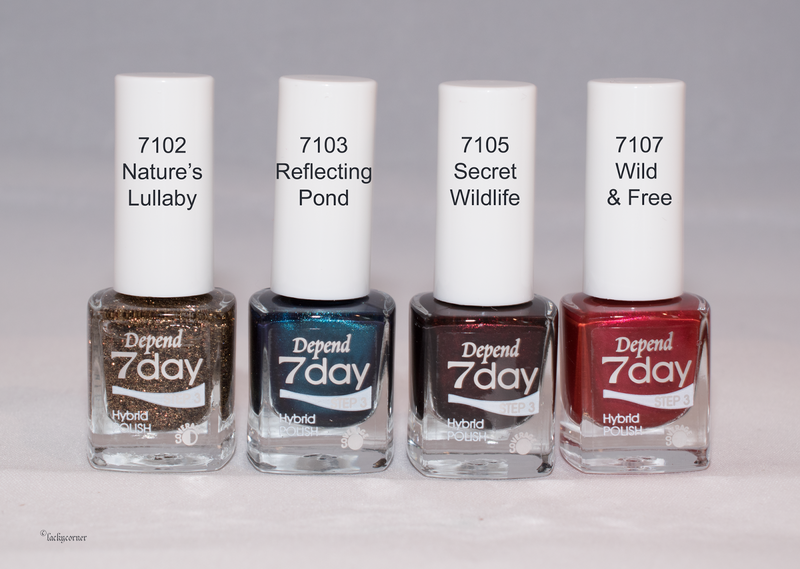 It's not long ago that I showed you the bottleshots of the amazing HOLO Fantasy collection from Depend O2 and just the other day another great collection landed in my mailbox. This time the force of nature collection from Depend 7 Day. There are 8 polishes with different finishes in the collection and it will be available from week 35. The price is 39 SEK a bottle.